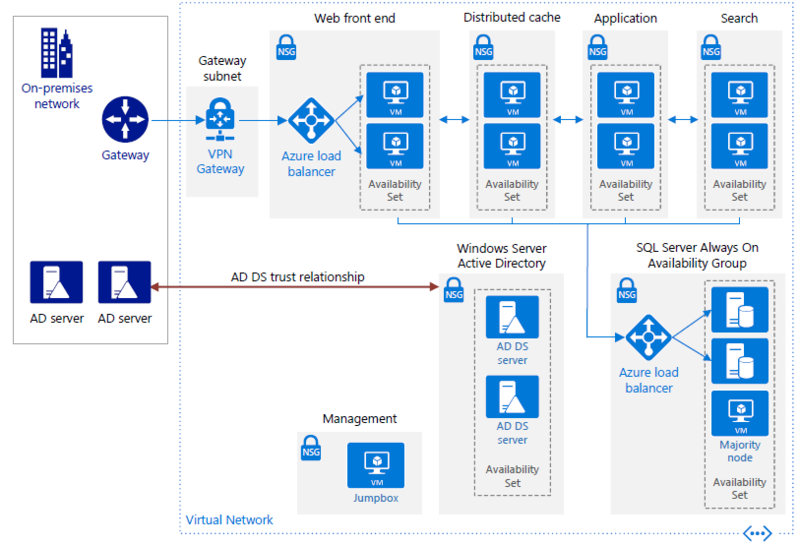 The Azure CAT Patterns & Practices team has published a new reference architecture for deploying and running a high availability SharePoint Server 2016 farm in Azure. Like all reference architectures that can be found at the Azure Reference Architectures, it includes prescriptive guidance and a set of PowerShell scripts and Azure Resource Manager templates to deploy a working SharePoint Server 2016 farm with SQL Server Always On and a simulated on-premises network. The deployment time for this reference architecture may only take hours, simplifying a task that previously would take several days to build out and test. Note: The compute requirements for a SharePoint HA farm are significantly higher than many workloads running on-premises or in the cloud. If you do deploy this, be aware that the full deployment will consume 38 cores. So, if you’re just kicking the tires, be sure to shut down your virtual machines when you’re finished to avoid any surprises on your bill.